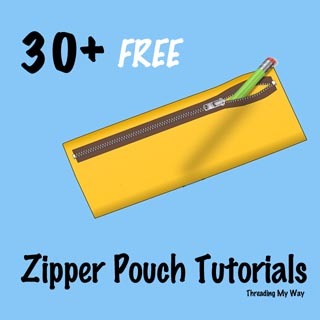 Zippered pouches have SO many uses! How about keeping your sewing notions neat, tidy and always at hand with this cute little zippie - today's showcased tutorial. They'd be great for taking to a sewing retreat, too, where you sometimes have limited space, but still need all your bits and pieces within easy reach. 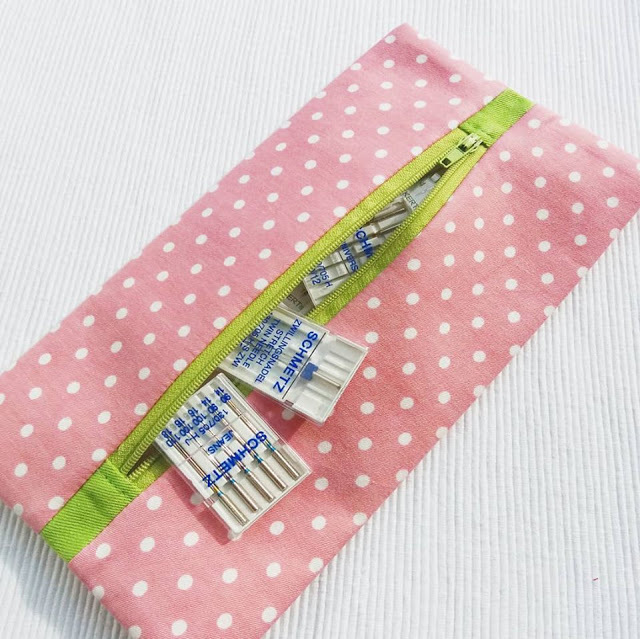 Damjana, from Apple Green Cottage, shows how to make a Small Zippered Pouch for Sewing Notions. The pouches are small, flat and with a centred zipper preventing items from easily falling out. The detailed instructions will step you through the process.